Is it possible to download fonts from applications into FontBook? I go to the application and select "Show Contents" and find the .otf font files. 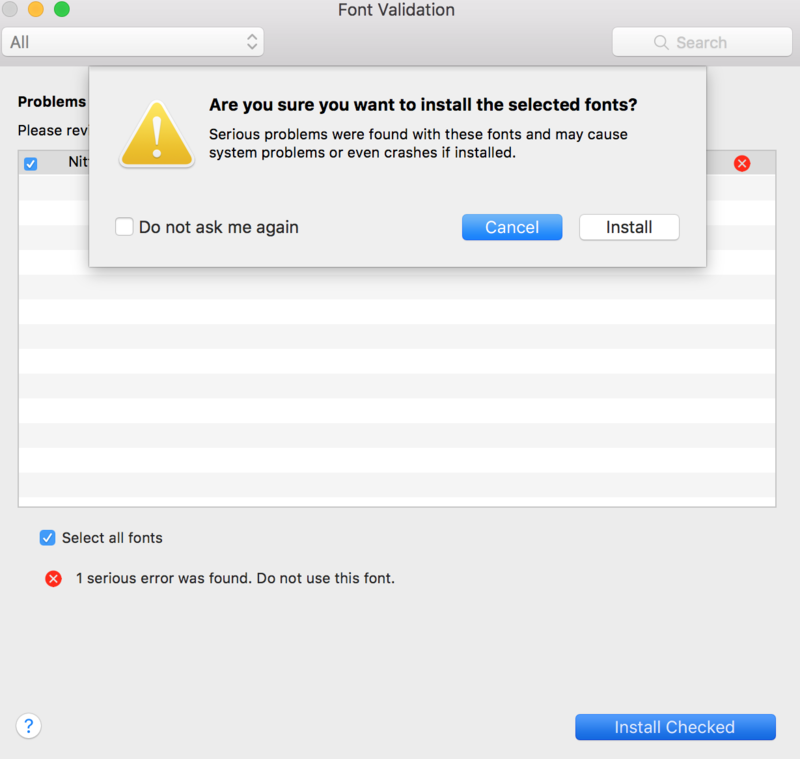 I then try to download the font to FontBook and get a frightening warning message.